Optimist Dinghy Covers: Flat cover is an excellent fitting cover with super durable materials, ideal as a top cover for storage, towing or roof racks. 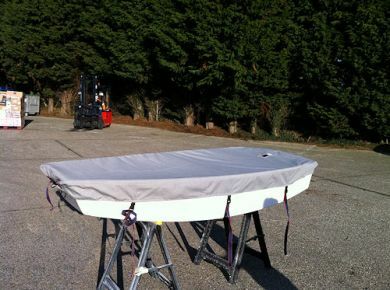 All our Optimist Dinghy Covers are manufactured in our factory in Southampton, we do not sell imported covers. We use only the best quality materials whether PVC, Polyester/Cotton, Hydralite, Nylon or Weathermax.